Cama Group has installed a new “break-through generation” (BTG) flow wrapping solution into a packaging company, which it says helps the customer increase output and improve flexibility. Designed for flow-wrapped biscuits, the secondary packaging line comprises a loading unit with two Cama Triaflex Delta robots feeding a CL series high speed continuous motion side-load cartoner at 360 ppm, as seen in the video below. The system receives the flowpacks at 360 ppm, which are metered into a multiple pocket vertical racetrack. From there, the Triaflex robots pick groups of collated products depending on format, which are placed into a continuously-moving bucket chain in the relevant orientation. The products are then side-loaded into pre-glued cartons using overhead mounted pushers. According to Cama, output is maximised through features including no product, no carton; pusher overload protection; and open flap detect and reject. Speed varies from 60 to 110 ppm for this application, but can go higher than 300 ppm in other configurations. Cama says that all of its new BTG systems incorporate the latest advances in packaging R&D for the secondary packaging machinery market. 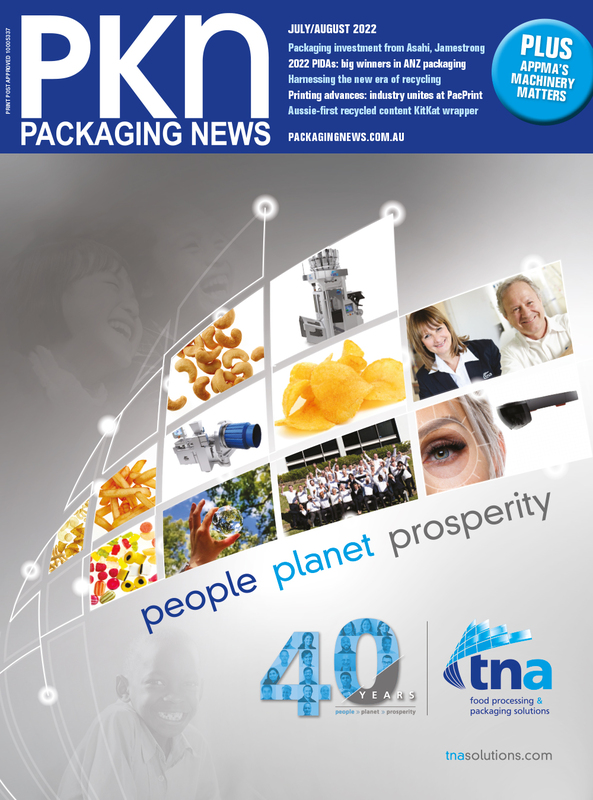 It will exhibit them on stand E031 at AUSPACK next week.